Recently, BYD senior vice president Li Ke revealed that BYD will establish BYD's first overseas wholly-owned bus factory in California next year. It is understood that BYD new energy vehicles have made major breakthroughs in overseas markets this year and have obtained orders from many countries and regions including the United States, Israel, the United Kingdom, and Canada. Recently, the first batch of three pure electric vehicles e6 was officially delivered to Thailand's Bangkok Electric Power Company MEA. At the same time, BYD has also become China's first Chinese car company to enter the Thai market with FormE (Protocol of Origin, China-ASEAN Trade Agreement) enjoying preferential tariff policies for imported â€œzeroâ€ tariffs. The three pure electric vehicles delivered this time are the BYD e6 Personal Edition, as well as three AC40KW fast charging devices and their accessories. MEA is one of the three major power companies in Thailand. In addition, BYD's electric e6 car rental team has arrived in BogotÃ¡, Colombia. Wang Chuanfu announced the formation of the first pure electric taxi team in South America. This pure electric taxi team is expected to be officially launched in BogotÃ¡ in the first quarter of next year. 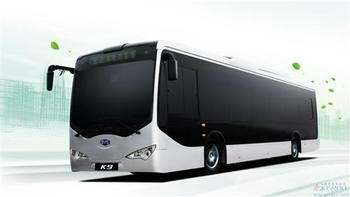 On the 11th, BYD signed a contract with Bulgarian Bulmineral Co., Ltd. The two sides announced that they will set up a 50:50 electric vehicle joint venture company and named it AutoGroup Motors. This is the first electric bus joint venture in Europe and the first electric vehicle joint venture established by BYD overseas. Not long after, BYD supplied components to a Japanese coop-sapporo 0.75 MW photovoltaic power plant in Hokkaido and officially entered the Japanese market. This means that Japan has become another key development market for BYD PV outside of Europe, the United States, Brazil and South Africa. It is understood that in March or April of next year, BYD will announce the exact address of the California factory, which will be ready for production after it is completed. It is estimated that the production will be 50 to 100 vehicles in 2014. By 2015, it is expected to produce more than 500 vehicles annually. The new factory's management team and employees will be hired locally, and part of the production lines and molds will be imported from China. With the current demand for electric buses in the United States, BYDâ€™s annual production is entirely likely to be sold, which means a value of several hundred million yuan. The U.S. government plans to have 1 million electric vehicles by 2015. The United States has huge potential for rigid demand for new energy products such as BYD's electric buses and electric taxis. "BYD brings advanced technologies for effective emission reduction to the U.S. market. Products focus on the future and are all related to environmental protection. The U.S. is also highly attractive to the United States, which is famous for its innovative technologies." Li Ke revealed that BYD is currently hiring the United States. Experts and local sales teams will refine the details according to local regulations and customer requirements to prepare for the start of the factory next year.